This egg salad is full of color, nutrition and taste. It adds a great twist to traditional egg salads and is great to serve for brunch along with the egg salad with mushrooms. 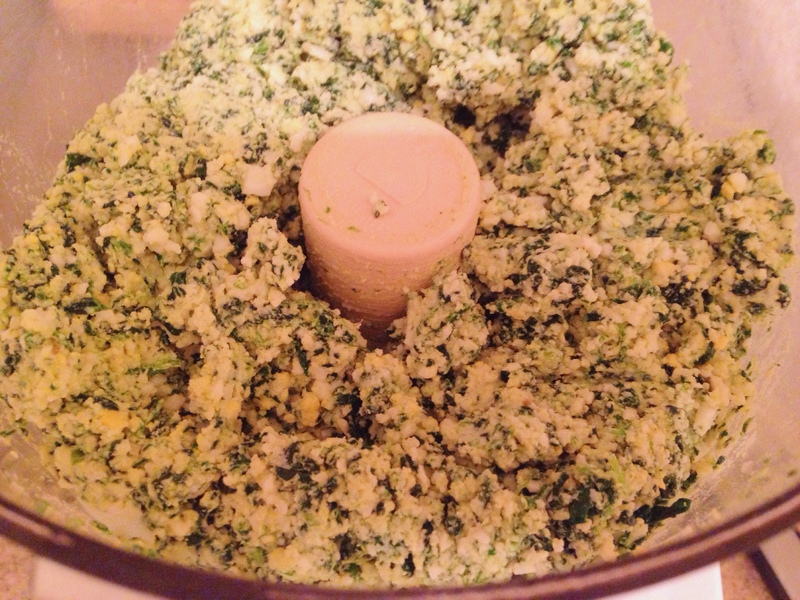 The secret lies in using a food processor to finely chop and mix the egg and spinach before adding the mayonnaise. I use a box if frozen spinach, thawed in a sieve and then using paper towels, I squeeze handful amounts of spinach between the paper to get all the moisture out of the spinach before adding it to the processor with the hard boiled eggs. The mixture gets processed for about 1 1/2 – 2 minutes so it is finely chopped and thoroughly mixed. Add the mixture to a bowl and add salt, pepper and mayonnaise. Once all the ingredients are mixed, refrigerate for at least 2 hours for the flavors to set, before serving. Thaw spinach and drain using paper towels so the spinach is completely dry. Add to food processor with the hard boiled eggs and process for about 1½ – 2 minutes so it is finely chopped and thoroughly mixed. Put eggs and mushrooms mixture into a bowl add salt, pepper and mayonnaise. Mix together and chill for at least 2 hours for the flavors to set, before serving. 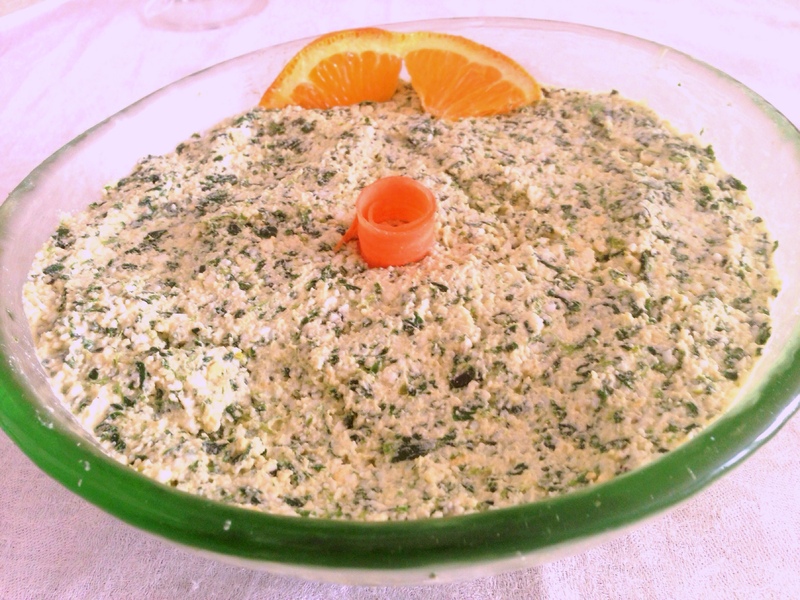 This entry was posted in Blog, Recipes and tagged Egg Salad, Spinach on March 30, 2014 by Leslie. I was lucky enough to be a taste tester on this one. Not like any egg salad I’ve ever had – it was amazing! I encourage everyone to try this one out. Both were delish – but spinach was my fave.